The “Twitterverse” just received a bombshell early this morning from Katsuhiro Harada when he responded to a Tweet. Tekken fans around the world have anxiously been wanting more info on Tekken 7: Fated Retribution -mainly a console release date – but any news as we wait is welcome. Check this out. People tweet Harada all of the time, so the likelihood of a response from him is very slim. But he must’ve been feeling really good at the Bandai Namco office, because he responded with this. RT @Ally_TekkenFan Hey Mr. Harada Xiaoyu is my favorite Tekken player. Any news on her? What?! Ling Xiaoyu, the little school girl with the high-pitched voice, is getting married? Well, this shouldn’t come as a surprise because the Tekken lore is expanding quite a bit in Tekken 7:FR, especially now that Akuma has entered this universe. So anything is possible at this time. 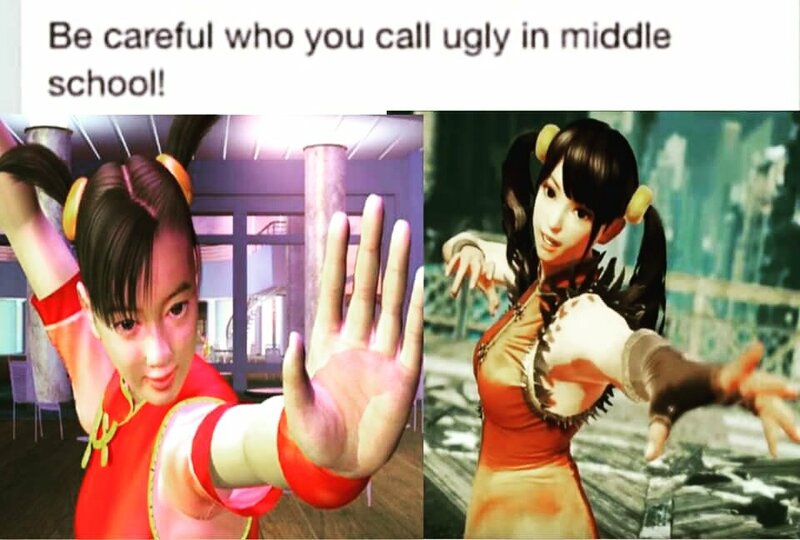 Xiaoyu also received a costume upgrade, making her look older and more mature. Even this meme has been going around, which is pretty funny. The next obvious response is this – who will she marry? Many are saying Jin. Some are saying Gigas (Marduk). What if she ended up marrying someone Nina was supposed to marry? I mean, Nina’s new wedding dress is all torn up. I guess we’ll have to wait and see. Who do you think she’ll marry?